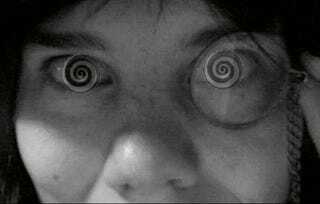 Are conservatives more susceptible to hypnosis? People with genes that make it tough for them to engage socially with others seem to be better than average at hypnotizing themselves. A study published today in Psychoneuroendocrinology1 concludes that such individuals are particularly good at becoming absorbed in their own internal world, and might also be more susceptible to other distortions of reality. "...This capacity might help to explain why some people respond better to placebos, or are more likely to accept paranormal or religious experiences."